Thirteen Reasons Why is the story of a girl named Hannah Baker who takes her own life. But before she does, she records several cassette tapes explaining why and sends them to the people she feels pushed her toward that decision. The story is told from the point of view of Clay Jensen who spends the night crisscrossing his town with Hannah’s voice as his guide. He becomes a first-hand witness to Hannah’s pain, and learns the truth about himself—a truth he never wanted to face. The anti-bullying anthem was published in hardcover in October 2007 by Razorbill, and quickly became a word-of-mouth favorite among teenaged readers with fans claiming, “This book changed my life.” The novel has been on the New York Times children’s hardcover bestseller list for 65 weeks, foreign rights have been sold into 30 countries and it has been acquired by Universal Pictures and will star Selena Gomez. 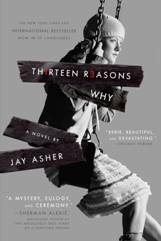 On May 12, 2011, Penguin launched the 13RW Project at www.13RWProject.com, as a place for fans of Thirteen Reasons Why to record their thoughts, stories, videos and photos relating to the book, and to view what other readers from all across the country have shared. Each review is logged on a map to show the many locations that viewers are posting from, and all content is shareable through Facebook and Twitter. In honor of the paperback release of Thirteen Reasons Why, I will be giving away two paperback copies to my followers. It will also include a chapter from Jay Asher and Carolyn Mackler's upcoming new book, The Future of Us. If you would like the chance to receive your own copy, please fill out the form below. Good luck! Giveaway rules apply as follows: One entry per person, Open to U.S. residents only, Giveaway ends on June 12, 2011. In support of the website 13RW Project, please share your thoughts in the comments on the effects of teenage bullying and how you feel it should be stopped before another teen takes their own life. 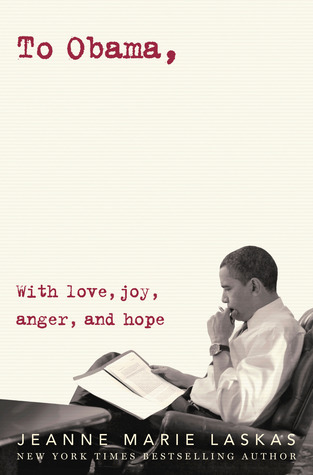 If you've read this book, I encourage you to visit the website and submit your own thoughts on how it has effected you. Thank you Penguin & Big Honcho Media for asking me to be a part of this. I love this book. I cannot wait for the movie! Aw! I wish it was international! !I really wanna read this one! A movie!! Ooo! Selena Gomez..Gaaah! She is funny, but somehow this role sounds too serious for her, but nevertheless i look forward to it!! Hey, we're blog twins today! :D I read Thirteen Reasons Why last year for Banned Books Week. It is such a moving story. I am so glad it's now coming out in paperback so more readers will be able to enjoy it! Thank you SO much for this amazing giveaway, and for bringing to light an issue that is so important, and so close to my heart. In February 2010, a friend of mine jumped from a 10-story building in Toronto and committed suicide. The aftermath of which was my self-imposed silence for months, and a whole year of writer's block. I was so distraught, and every time I would pick up my pen to write, my thoughts would go to him, and the wound that had seemingly healed hurt anew. It took a lot of strength, but books played a major role in my healing process. And after a year, I began to channel my energy into talking about books, and my blog was formed. Anyhow, I think it is SO important for there to be projects like the 13RW Project - these frustrations, the pain of life, needs room for venting, and it always helps to be able to identify with others who are going through what you are. I wonder, every day, if something like that would have saved my friend. Thank you...thank you SO much for bringing awareness and for hosting this giveaway! I've heard so many great things about this book but I haven't had a chance to read it yet! I really like this book. I listened to it on CD and the narration is fantastic. I'd love to own a copy! Thanks for the giveaway, Ginger!